Fire Engines Photos - Horse Drawn Steamer, Memphis, USA. Horse Drawn Steamer, Memphis, USA. 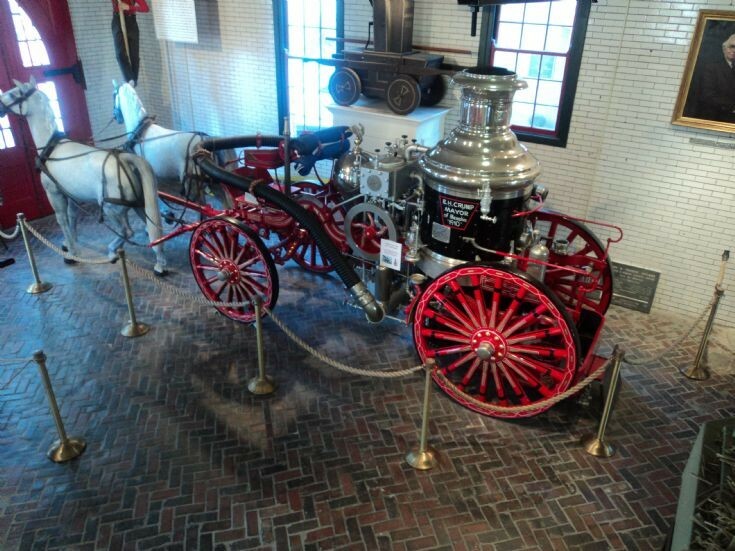 This horse drawn steamer is in the Memphis Fire Department museum. It is known as the E.H. Crump steamer and was the first horse drawn steamer purchased by that fire department. More detail can be seen on the museum website virtual tour. The photo was taken in December 2013. Very interesting to see a "squirrel tail" preconnected suction on a pumper of this very early vintage. Something I have never seen on any pumper built before the 1930s. Added by Rob Johnson on 21 April 2014.